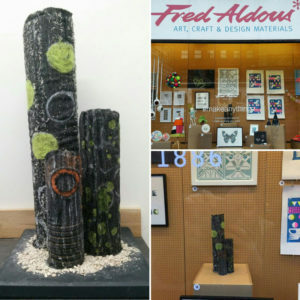 The Manchester Craft Mafia were invited to create an exhibition of members work for their Make Anything series of windows. We were given the themes of typography, neon & geometric. I chose geometric with a slight nod to neon. My piece is entitled ‘Groynes‘ inspired by weathered beach defence posts.